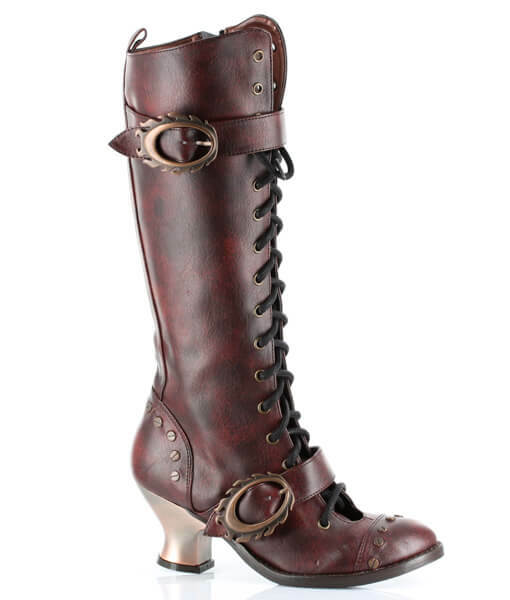 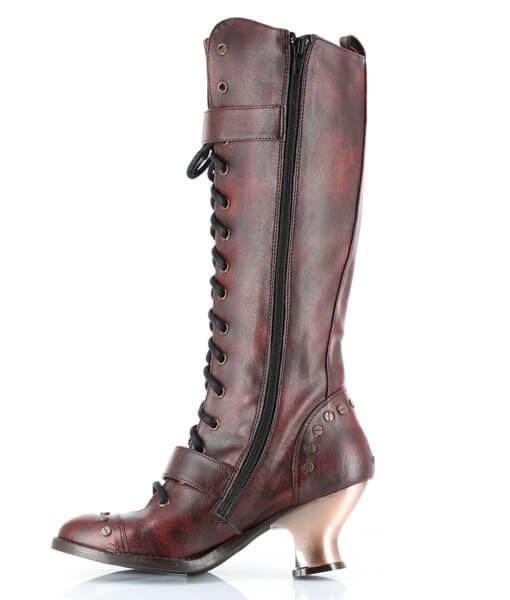 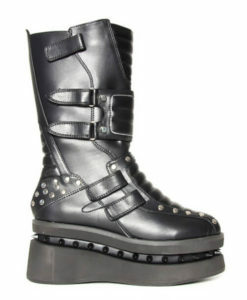 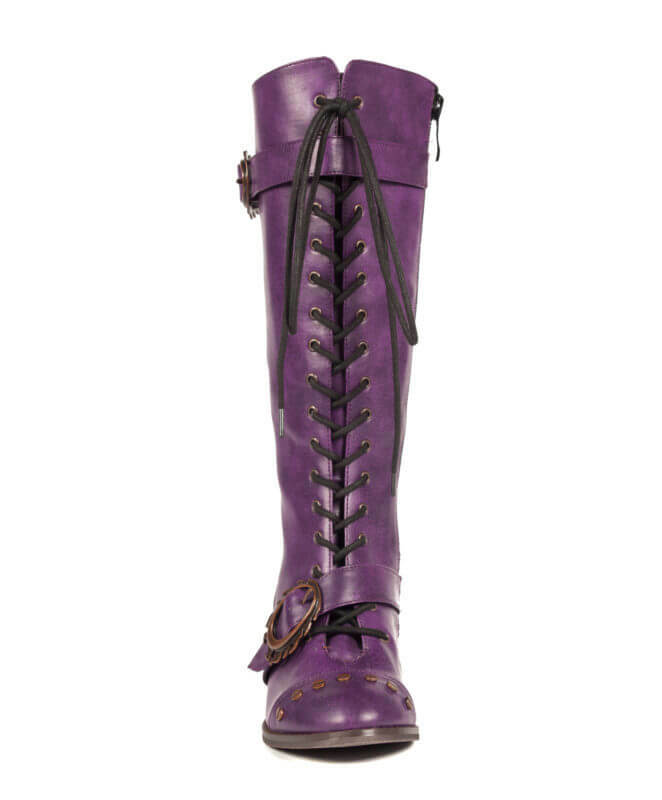 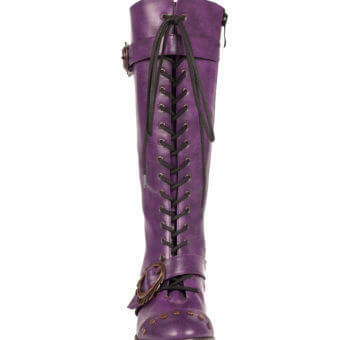 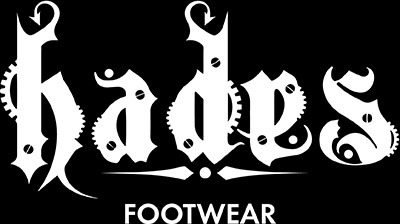 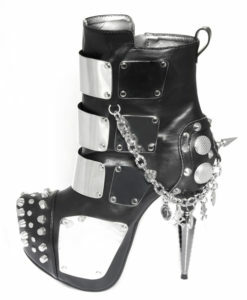 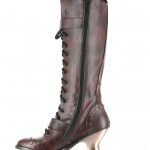 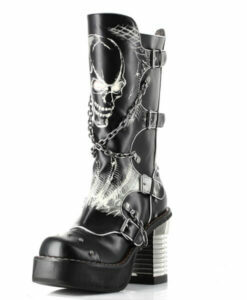 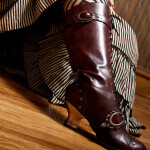 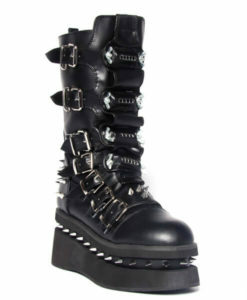 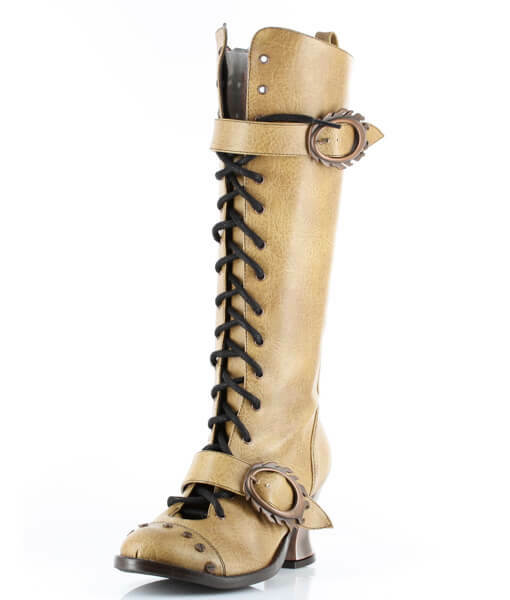 Hades’ all time classic knee high vintage boots! 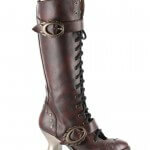 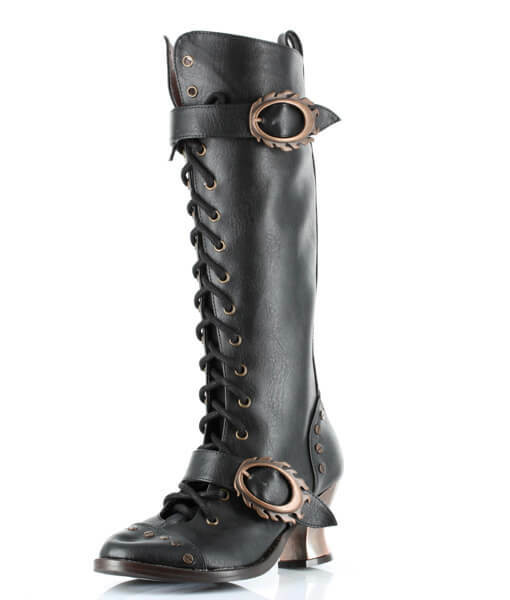 Retro lacing with steampunk buckle & hardware studs. 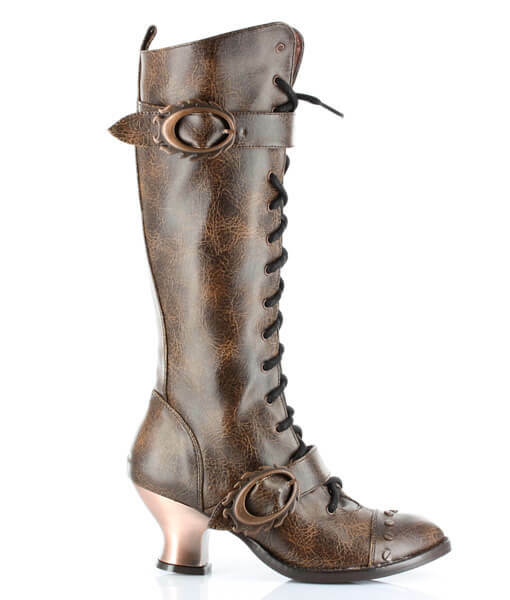 2.5″ ABS heel with heated bronze coating. 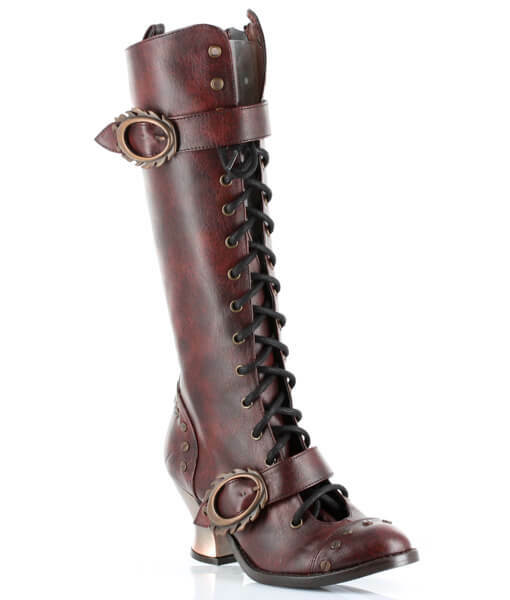 Comes in 4 unique steampunk colors. 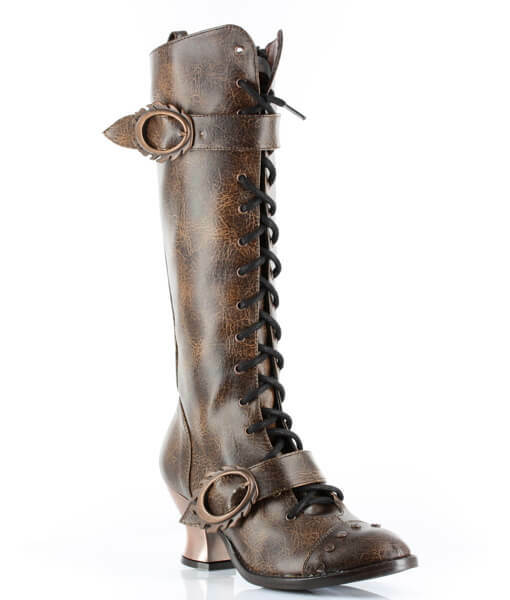 Strew rivets embellishments and flame shaped buckles. 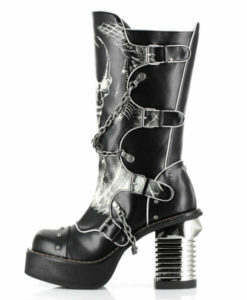 Easy access inside zipper. 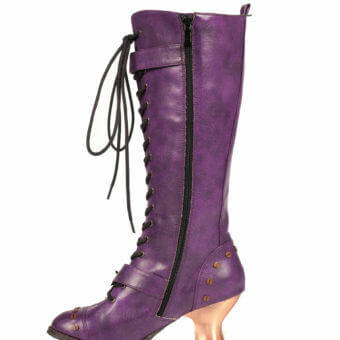 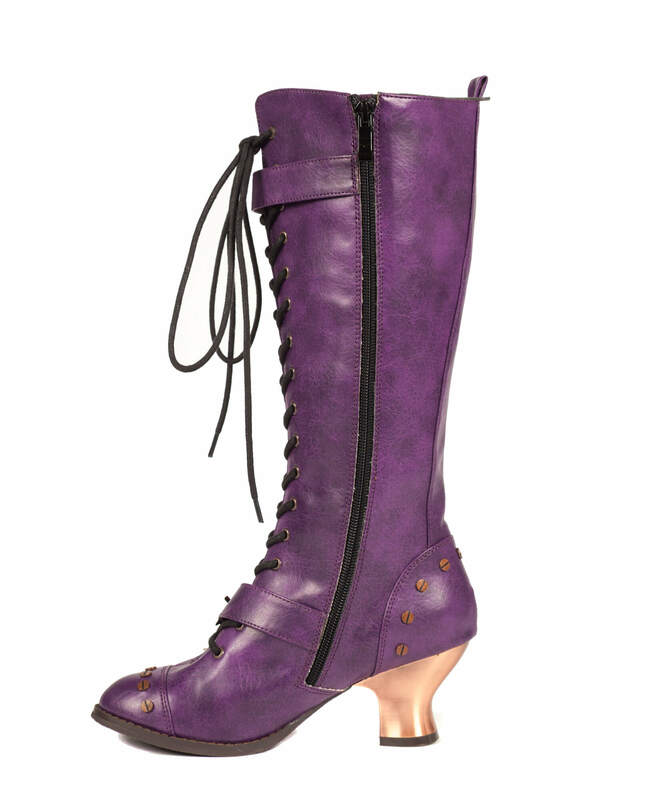 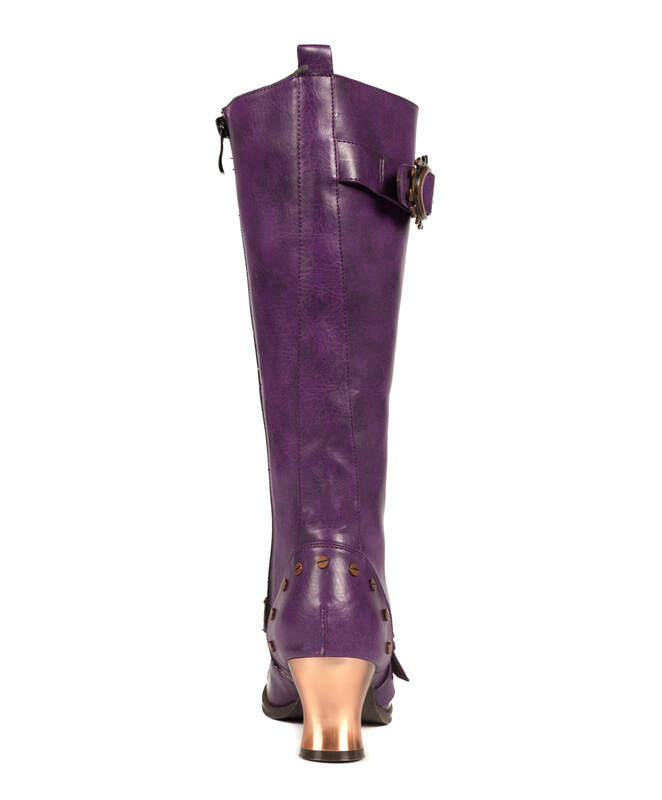 This boot is quite versatile and compliments many an outfit!